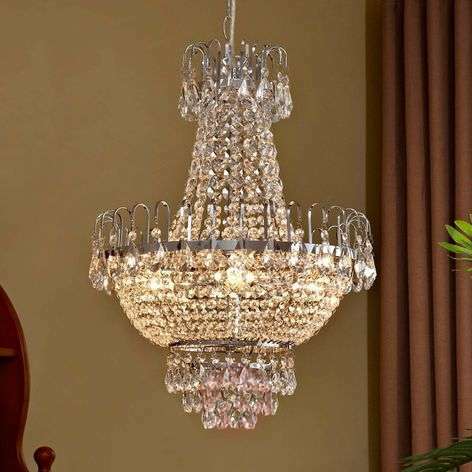 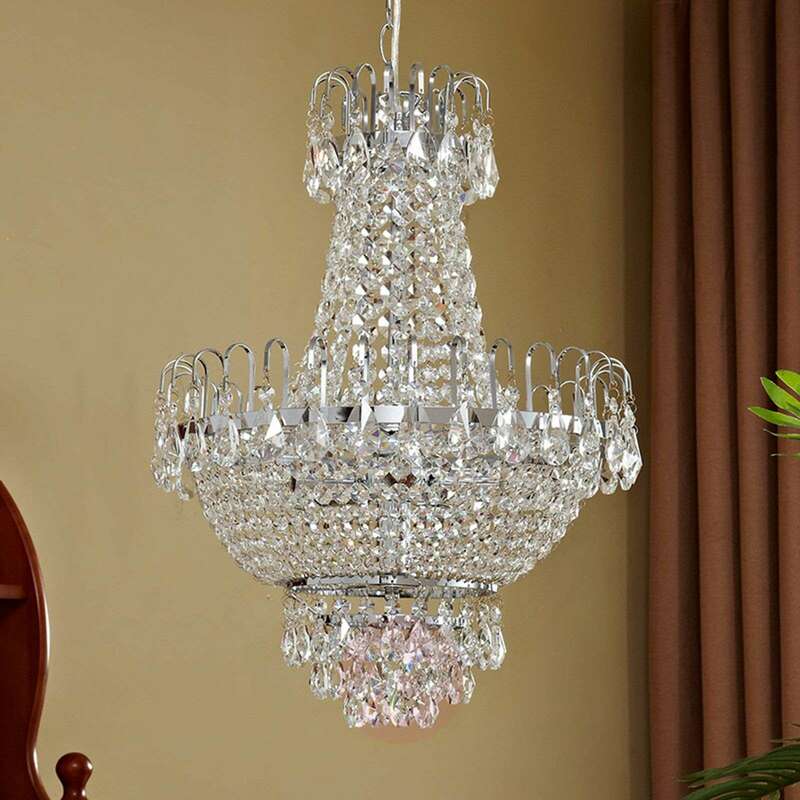 Anyone who discovers the Casparia crystal pendant light will gaze at it with awe as it is equipped with high-quality crystal pendants from top to bottom. 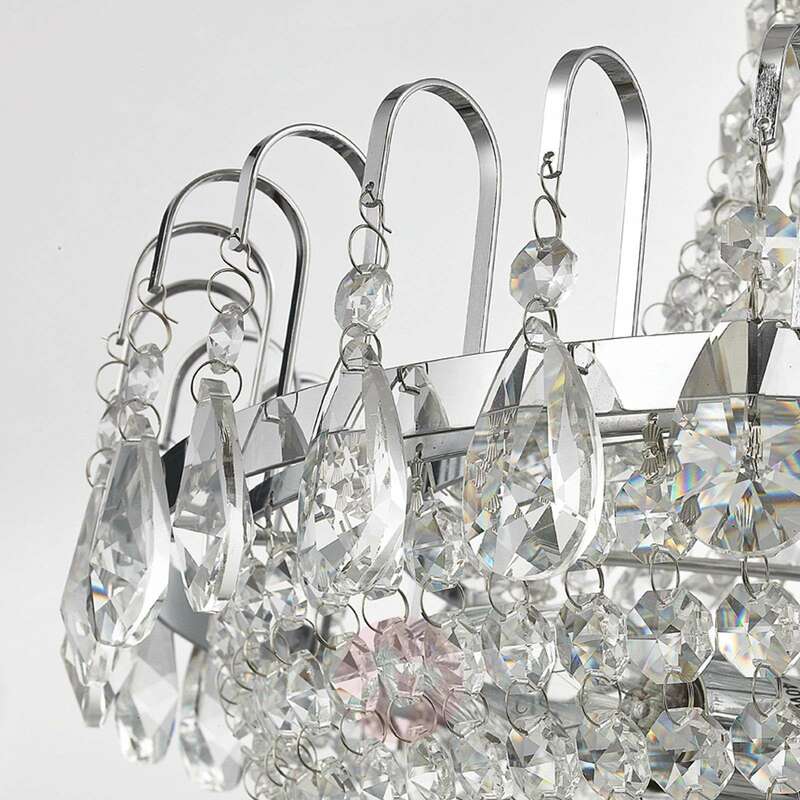 Casparia is covered by teardrop crystals on the bottom, top and on the curved elements in the middle, while beautifully-shaped, chains made of round cut crystals are attached inbetween. 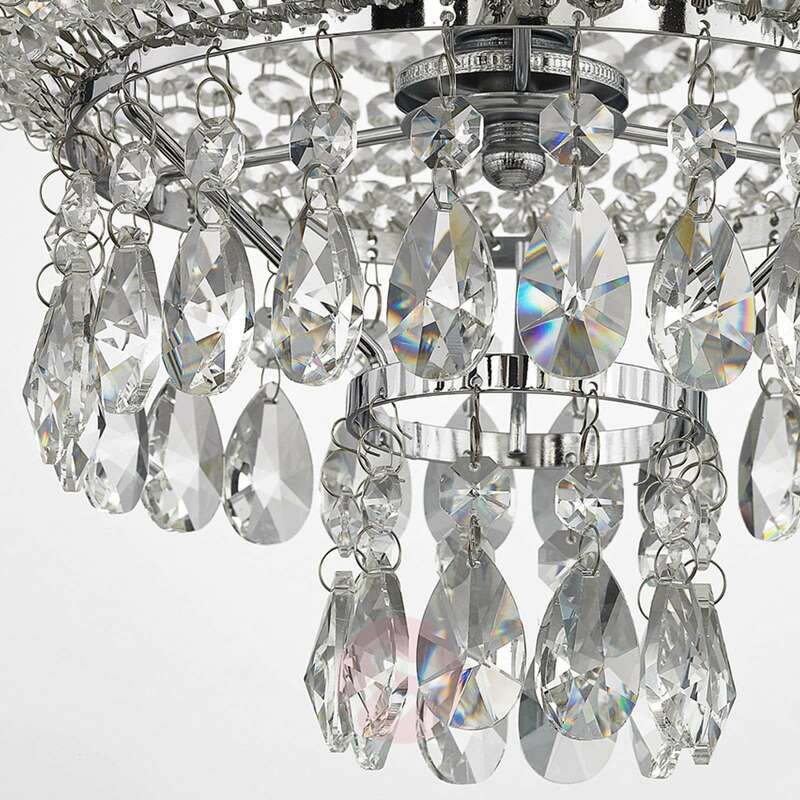 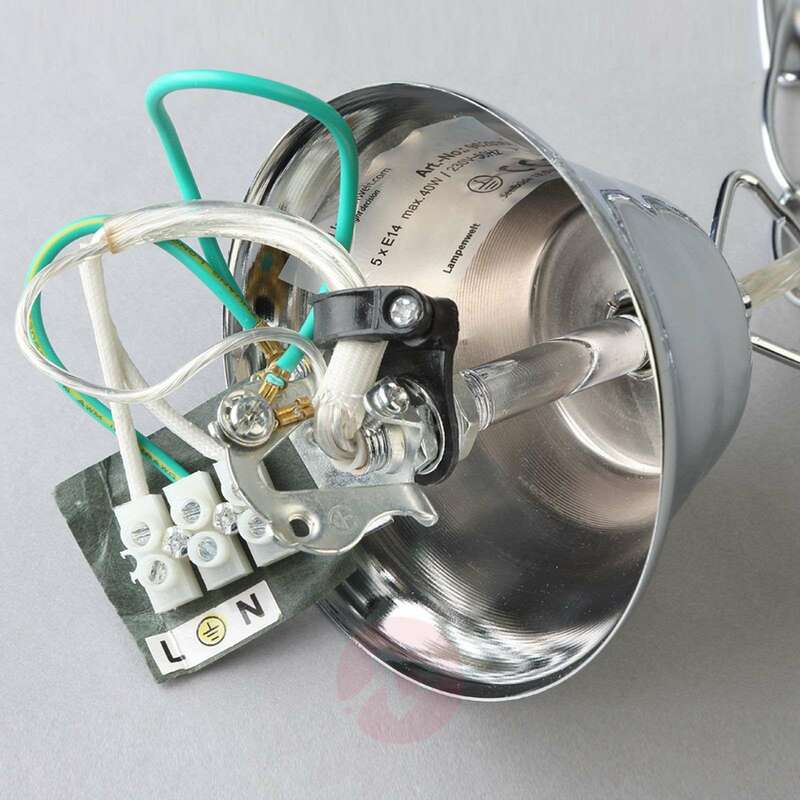 When switched on, the pendant light gives off a glamorous sparkle and captivates everyone who enters the room. 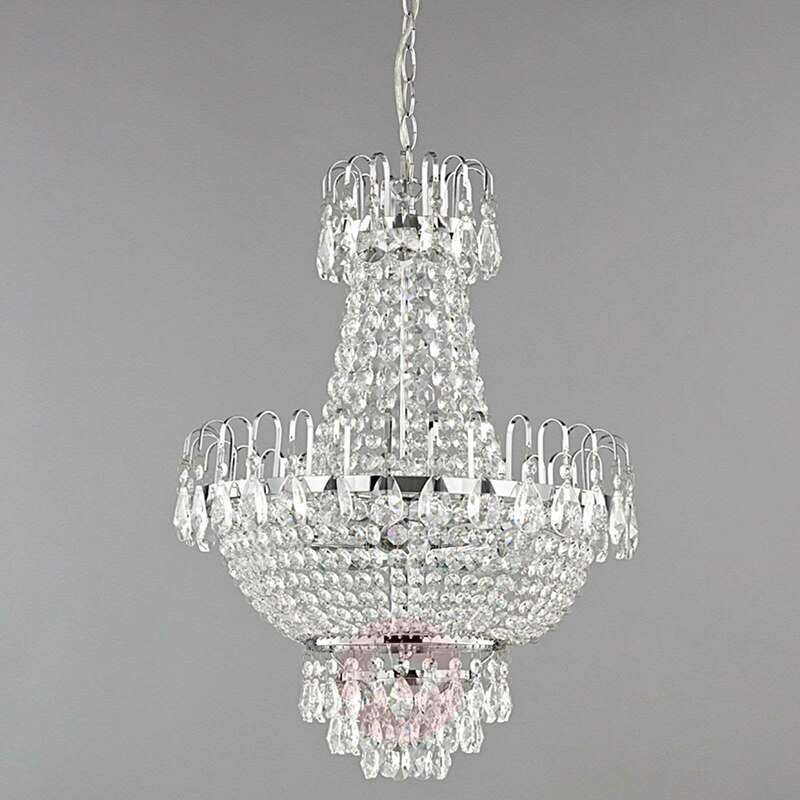 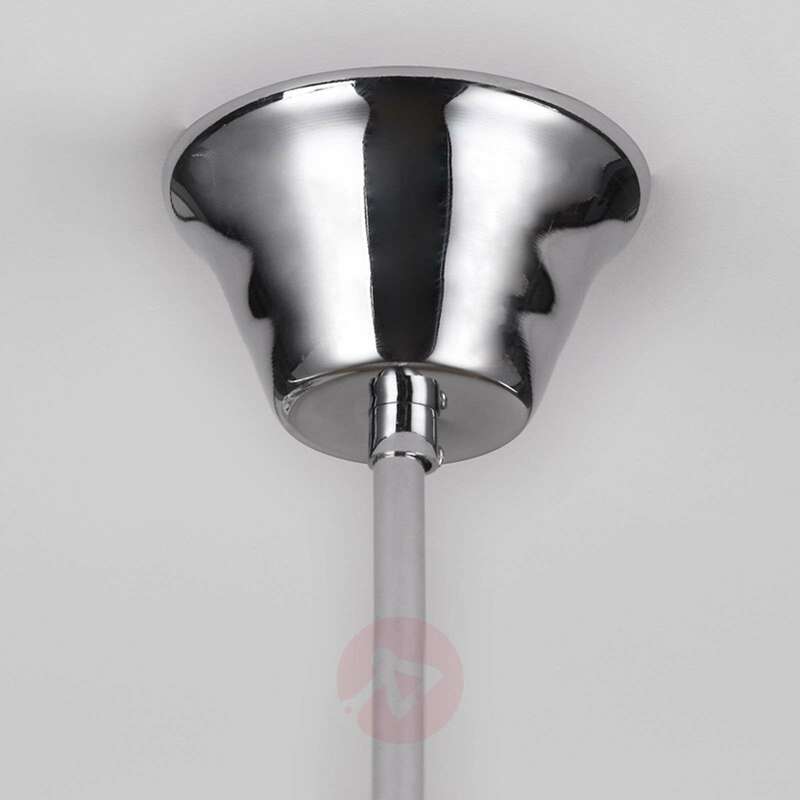 Visually, it combines the classic beauty of a crystal pendant light with a modern look and feel as the frame of the detailed light consists solely of glossy metal with a pretty chrome finish. This gives rise to a festive mood.